@deafnala: Knew you´d like it! I would love to see a groupshot. Your Gs-skill is overwhelming. @smile: thanks man, just wait until next week and yu will have your groupshot! Maybe until the end of this week i´ll be able to post the final 2 guys, the fish and the snake-lizard-skorpiontail possessed. COOL PHOTO! I was hoping for a better view of what His Fiendishness was holding in his left hand. 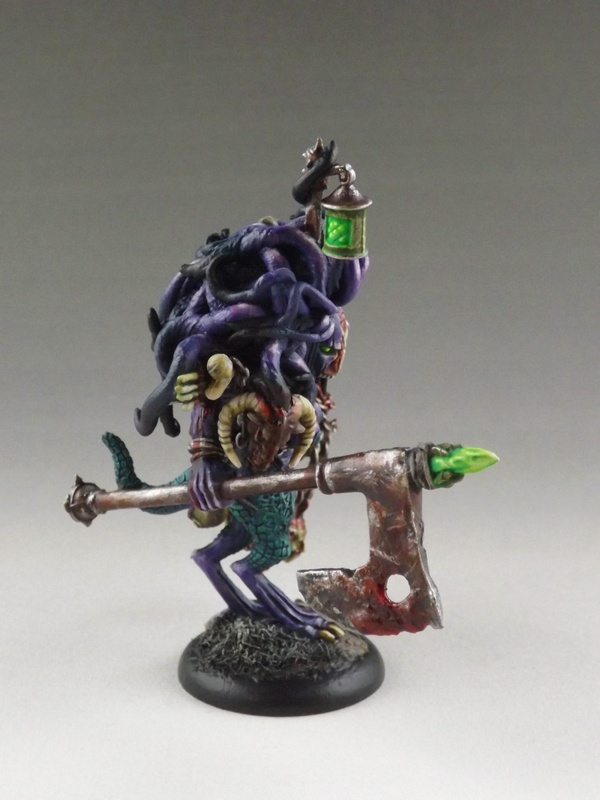 GREAT WORK ON A GREAT MINI! 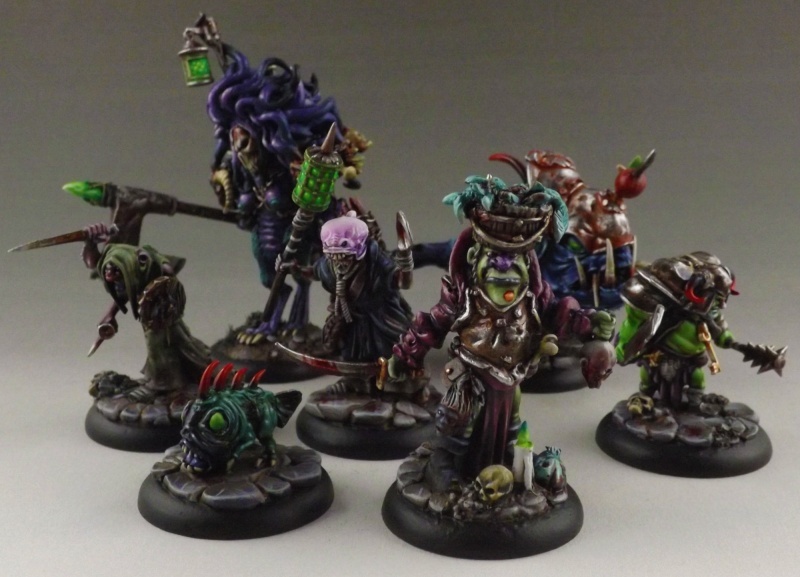 Each character is sooo Mordheimish it almost makes me angry that GW didn't do anything remotely close to this. Wonderful creations of yours, my friend! I gave you my feedback via phone but forgot to post it. The mini is awesome and can only be superceeded by the possessed. I am so happy the first magister with half moon face was killed, because now with the bucket of fish on his head he is finaly completed. 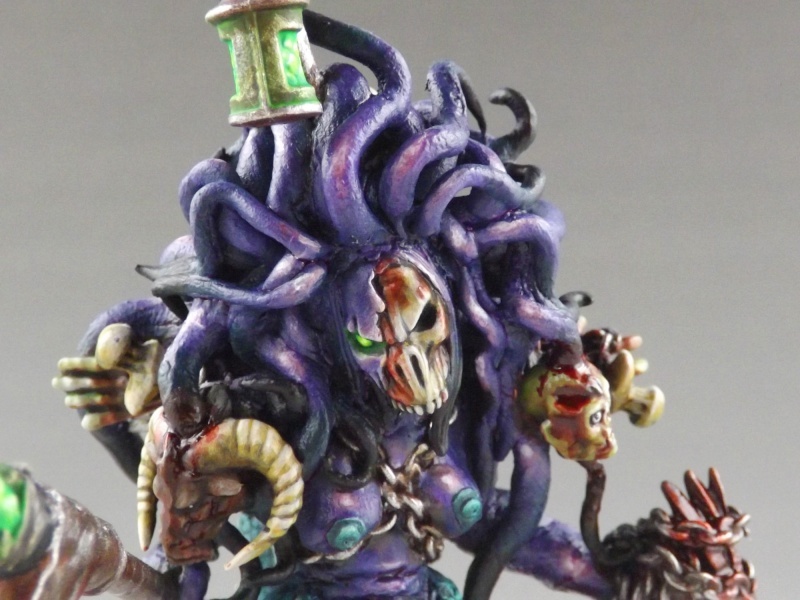 One of you best sculpt jobs ever. I am really looking forward to the possessed because they will be breathtaking awesome. Soon mommy and me will have a game with those, dont hope he will put witchhunter up against the fishies! Tomorrow i think i´ll be able to show some pics of trogonna, the second possessed beside fischlein, its the skorpion-breast-snakehair-BIG Axe conversion, so, stay tuned! OH BABY! A reason to get up in the morning...kind of! Hej amigos, dont want to let you wait anymore, here they come, the most wicked and shamless possessed ever to walk the streets of our beloved city of the damned, please welcome Fischlein and Trogonna! Applause Applause Applause! believe me, i will take pics a make a report! Oh, and to everyone who just popped by, those minis are NOT painted by myself but by martin grandbarbe who has to get all the roses! Great job martin! They make a CHARMING couple. 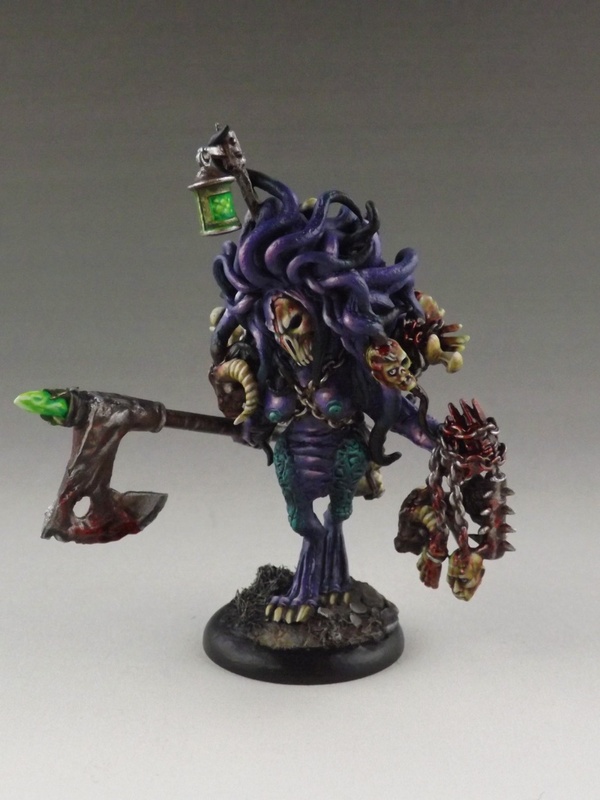 Your WONDERFULLY bizarre & imaginative creations with the VIBRANT Grandebarbe touch makes for two REMARKABLE minis....VERY DISTURBING & WELL DONE! Thanks guys! Tomorrow i hope i recieve a picture with all of them grouped up. One tiny little thing i do miss on Fischlein, its the rust on his armourplate, it looks to clean, so, hope he will change that. 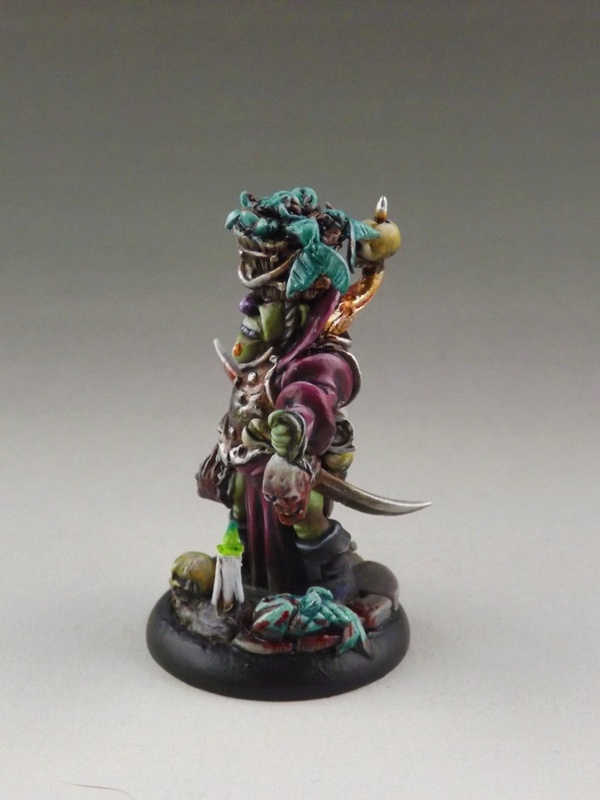 What can I say - great sculpting and great paintjob. I cant wait to read your battlereport. 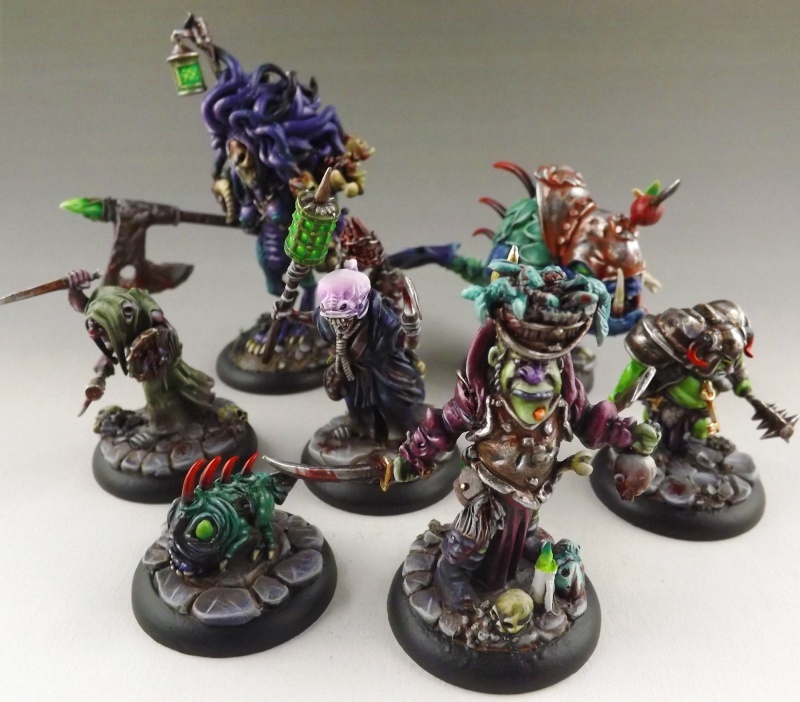 By far one of my favourite topics on the TBMF - your minis don't stun... they take out of action! So its update time again.Today: Groupshot! Martin also did a touch up on the fischlein´s armour, more rust, and also on all the copplestones. Dear Reader, this thread will be closed and deleted in 5 hours 20 minutes. The poster named floedebolle will be banned from this forum for lifetime. His crime: creating art with his crime partner on such an exceptionel high level to devastate all other forum members and push them in depression and self sacrifice. This can not be tolerated and will be punished with maximum possible sentence." His crime: creating art art with his crime partner on such an exceptionel high level to devastate all other forum members and push them in depression and self sacrifice. Ganz ernsthaft, vielleicht können wir ja Mal an einem Wochenende eine Kurzkampagne spielen, dann lohnt sich die Fahrt und eine Couch zum Übernachten wäre auch da. 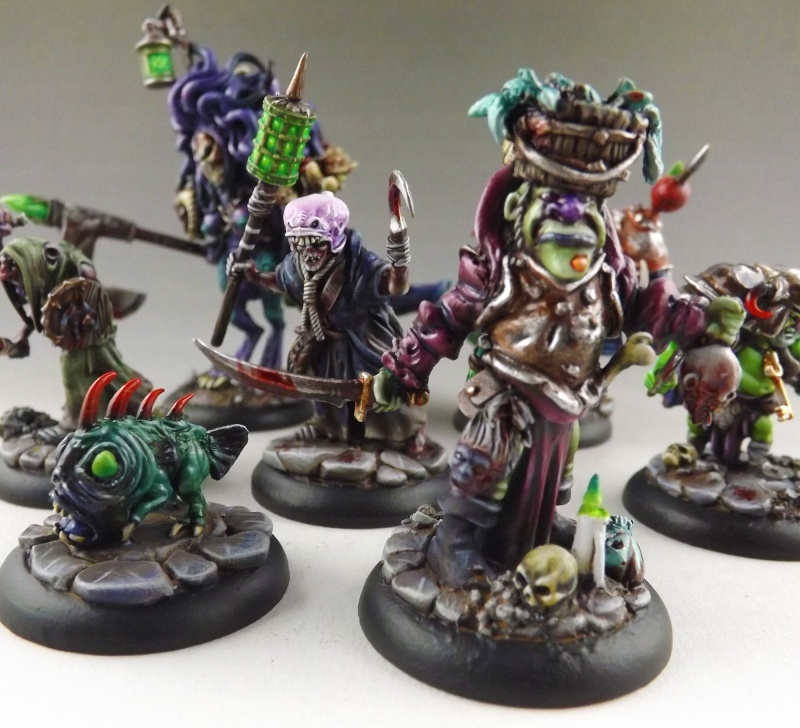 THE ENTIRE PURPOSE OF MORDHEIM & THIS ESTEEMED ON OCCASION FORUM IS TO DRIVE PEOPLE EITHER CRAZY OR TO HIGHER LEVELS OF ACHIEVEMENT...get with the program Gumballs! The Group Portrait is WONDROUS to behold. As a team, you & Martin reach new heights of pure imagination & artistry. VERY WELL DONE! What SerialMom said, for sure! Lovely family photo! You MUST share this in places like Cool Mini or Not! People will go crazy (or shall I say 'Possessed'?) with you work! You MUST share this in places like Cool Mini or Not! People will go crazy (or shall I say 'Possessed'?) with you work! I'm not so sure about the reaction at C.M.o.N.. 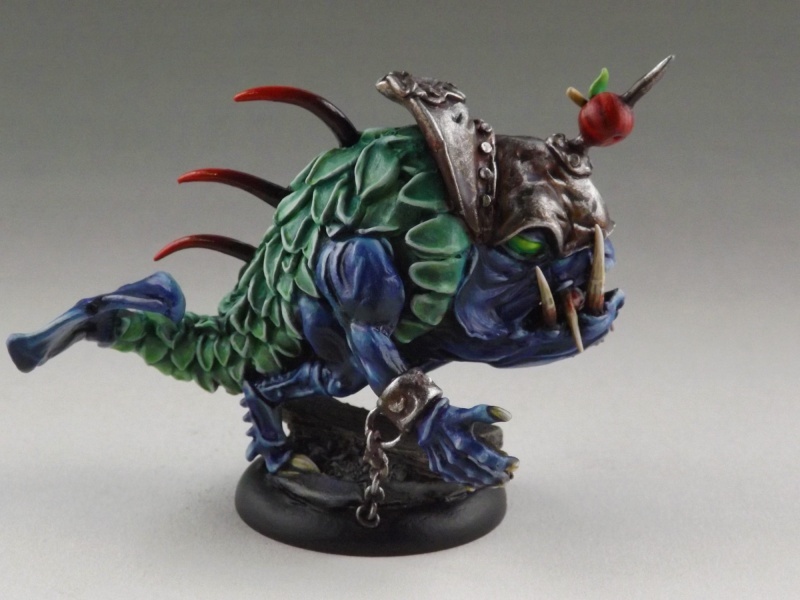 Lately there seem to be a number of miscreants that get their jollies by giving really low marks to beautifully done minis. Of course, for those of us without this affliction their inclusion would be a blessing. AHHH , please dont bann, i will never ever do it again, i swear! Hhaha, thanks mom, the only reason why you would do something like that is t get hold on those minis, i know you fancy them and wnat to take them out of action! 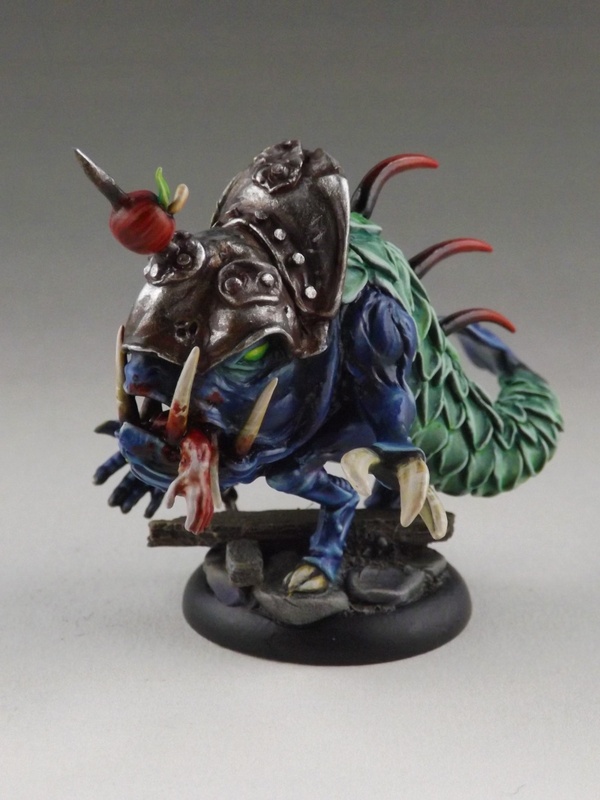 Thanks so much for your comments, i really enjoy sharing those minis and moments with fellow mordheim addicts! @jerry o: Naja, hab schon mal mit mommy über´nen Köln-Besuch gesprochen. Wenn du und die anderen Kölner hier vom Forum Lust habt, kommen wir mal im Sommer vorbei, wie schauts aus? @ deafnala: Jap, i recognized the same, there are so fantastic minis and other works that do get absolute wrong marks, for example, the undead painted by martin got 7.9 or so, i mean, come on! Anyway, i dont give a s*** on those marks at C.M.o.N., you cant take that for real.